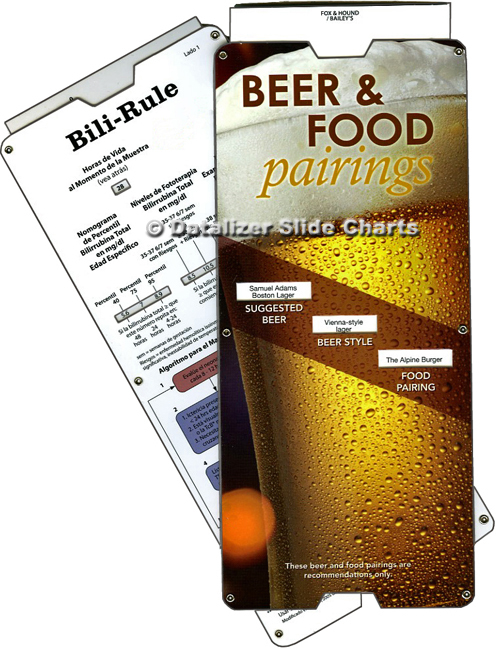 Slide Rule and Slide Guide style Slide Charts by Datalizer. 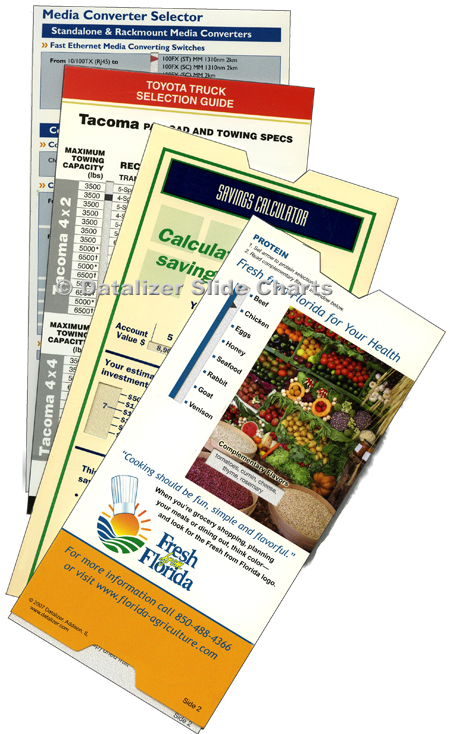 Datalizer Slide Charts are designed to manage the data you want presented. Sometimes that's a simple solution, sometimes it's not. 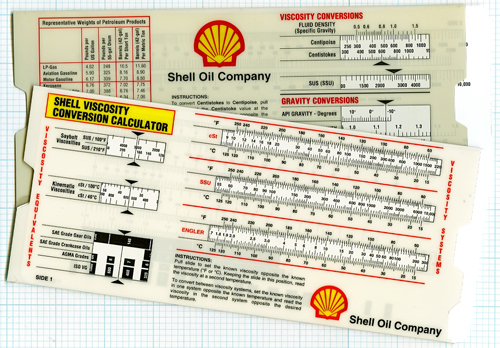 But the goal is always the same... engage the user and make the data easy to understand. 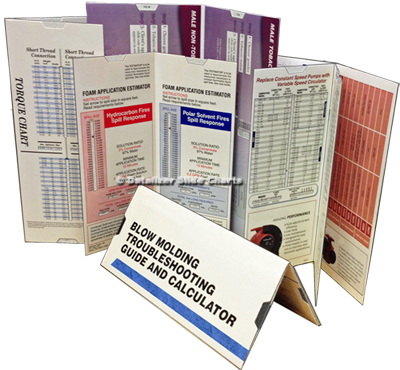 Shown below are a few of the design solutions we've developed: Bookfold style Slide Charts with multiple sliders, folded construction Slide Guides, eyeletted Slide Charts for extra durability, Slide Rule style Calculators. Click the images below for more ideas and information.